The 2018 winners of the prestigious European Union Contest for Young Scientists (EUCYS) have been announced. Since 1989 the EUCYS has aimed to promote cooperation and interchange between young scientists and to guide their future careers in science and technology. This year, 135 young scientists from 38 countries and the European schools gathered in Dublin, Ireland to compete in the contest. 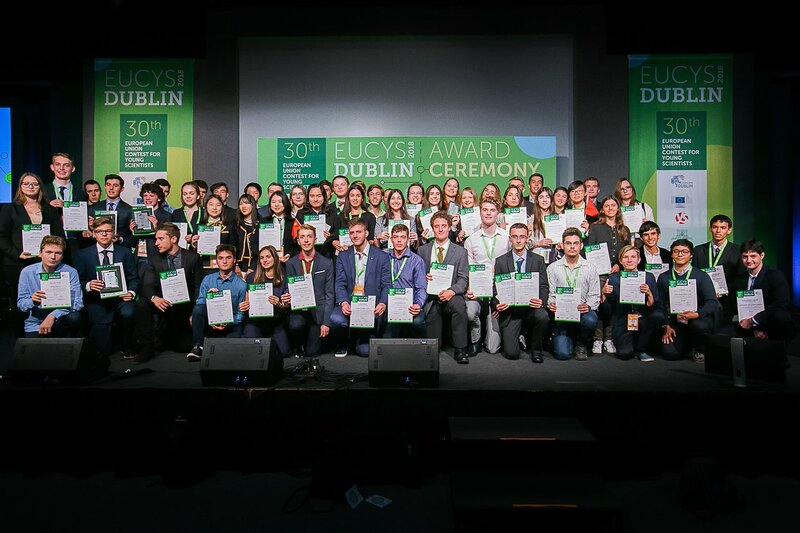 The contest was judged by the EUCYS 2018 Jury, which comprised 19 expert judges with a wide range of scientific experience. 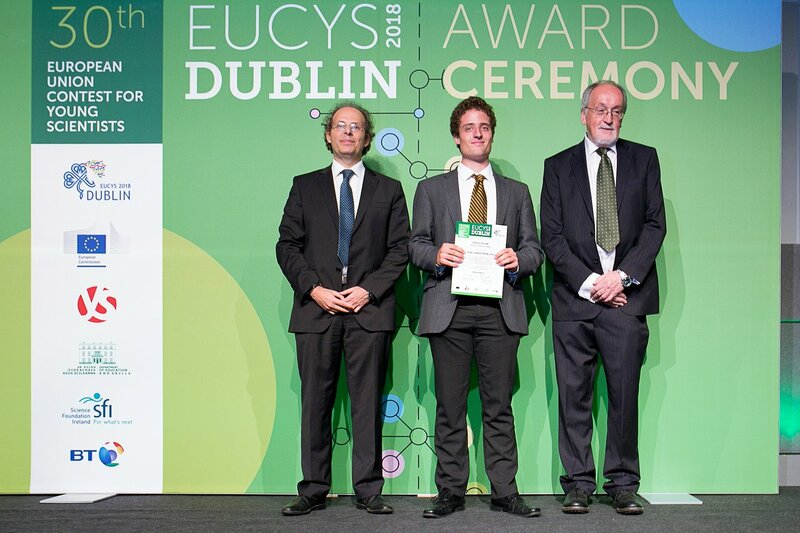 The three first prizes of the EUCYS 2018 competition were presented by the Irish Minister of Higher Education Mary Mitchell O'Connor and Wolfgang Burtscher, the European Commission's Deputy Director General for Research and Innovation. The prizes each consisted of €7 000 and were awarded to Adrian Fleck (20) and Anna Amelie Fleck (16) for “FleckProtec — Body Protection Made From Starch”; Nicolas Fedrigo (17) for “ Improving Spinal Fusions: Redesigning the Pedicle Probe to Prevent Vertebral Breaches”; and Brendon Matusch (15) for the project titled “Development of a Level 2 Autonomous Vehicle Using Convolutional Neural Networks and Reinforcement Learning”. Second prizes of €5 000 each were awarded to Alexandru Liviu Bratosin (17), Petru Molla (17) and Mihnea Vlad Bojian (18) for “DNAdrive”; Karl Hendrik Tamkivi (18) for “Positioning of bat maternity roosts in relation to surrounding landscape complex in Western Saaremaa”; and Francisco Miguel Araújo (17) for “Commutativity theorems for groups and semigroups”. Third place prizes of €3 500 each were awarded to Marina Gudzhabidze (18), Dea Ilarionova (17) and Shorena Gudzhabidze (17) for the project titled “Hand-Held Detector With Retroreflective Mosaic Screens To Visualize Optical Inhomogeneities”; Kyuhee Jo (18) and Chaeyoung Lee (18) for “Building a robust classification model for speech-based Parkinson’s Disease diagnosis”; and to Sijia Zhang (18) for their project titled “Investigation into the Verbal Conflict Problem in Middle School Students’ Families”. As a member of the EIROforum — a group of eight major European Intergovernmental Research Organisations — ESO donated a special prize for the best project in the field of astronomy and space physics, which was presented by the Senior Advisor for EUROfusion, Duarte Borba. The prize was won by 19-year-old Sébastien Christophe Garmier from Switzerland for his project titled “cuRRay: CUDA ray tracer for light rays in relativistic Kerr-Newman spacetime”. He will receive a trip to ESO’s sites in Chile, including visits to the Paranal Observatory and the ESO facilities in Santiago, offering Garmier a unique insight into life at the most advanced observatories in the world.